If you have spent a fortune designing a beautiful outdoor terrace, you probably want to get your money’s worth from the investment. You probably want to show off your gorgeous new natural stone paving and exquisitely landscaped garden, too. But the weather is not always on our side when it comes to entertaining outdoors. During the summer, it is warm and the evenings are light, but once autumn comes along, the nights draw in and it gets a lot colder. So how can you extend your outdoor entertaining season for as long as possible? Outdoor parties should be fun, not a competition as to who can last the longest before hypothermia sets in. The best way to keep the party rolling is to ensure your guests are warm enough. There are of course many ways to help them warm up. 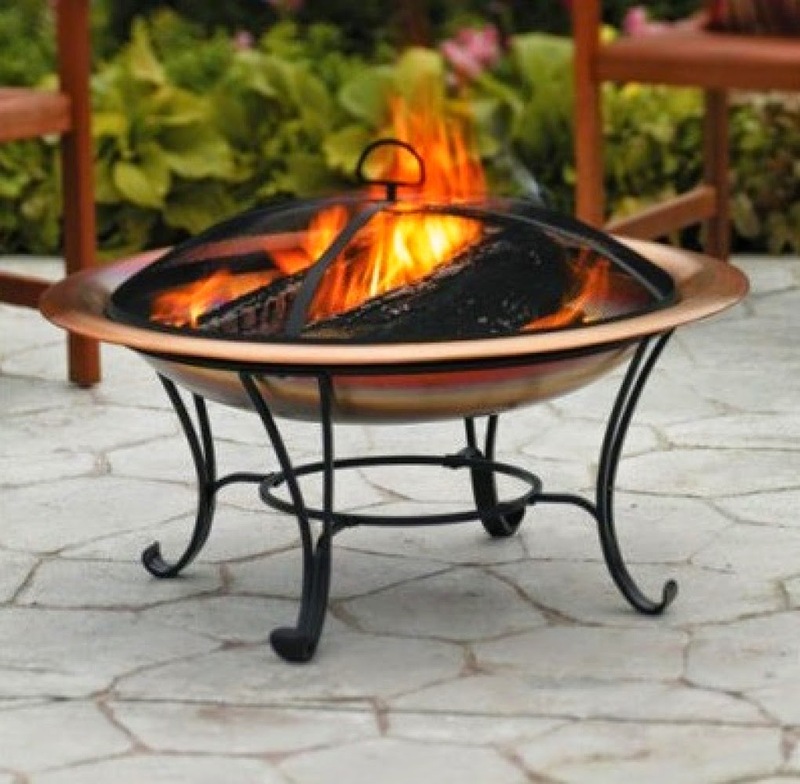 Fire pits – Patio fire pits are a great alternative to a BBQ. Afire pit can be placed anywhere on a patio and is perfect for creating a warm, cosy area for guests to congregate around. Wood burning fire pits are cheap and easy to use as they are basically just a safe receptacle in which you can burn logs. Gas fire pits are more expensive and require a gas canister; they are also less aesthetically pleasing. Patio heaters – Patio heaters are a popular choice for creating a warm ambiance on cool evenings. Patio heaters are usually powered by gas or electric, although chimneas are an alternative choice – some even serve a dual purpose as they come with an integral BBQ grill function. Warm food – Hot food is the perfect way to ensure guests stay warm and happy outdoors on cool nights. BBQ food is ideal for outdoor entertaining, but you can also cook food indoors and bring it out when it is ready. Alcohol – Nothing keeps the cold at bay like a few glasses of warming spirits. Alternatively, serve up mulled wine or hot spiced cider. Lighting is just as important as heat when entertaining outdoors. Thankfully, there is a wide range of different lighting choices to choose from for outdoor areas. For low cost lighting, choose solar powered lights, but if you want the lights on all night long, go for wired in lighting instead. A beautifully designed terrace or patio will compliment your garden admirably. To maximise the effect, create a seamless outdoor entertaining area adjacent to your home. If you install sliding glass windows that open up onto your terrace, you can turn the area into a bespoke outdoor dining area. As long as there are patio heaters or other forms of heating, there is no reason why you can’t continue to dine outdoors even after summer has faded into autumn. And if you build a hot tub, you have a whole new level of entertainment on tap. Always use a reputable installer when building a new terrace such as EasyPave slabs. That way you can enjoy a hassle free installation and many years of enjoyable outdoor entertaining. Why Choose Underfloor Heating this Winter?